Ada pertanyaan untuk Hotel TAP Silver Square? Dibangun pada 2009, Hotel TAP Silver Square adalah pelengkap yang nyata di Bangalore dan pilihan yang cerdas bagi para wisatawan. Dari sini, para tamu dapat menikmati akses mudah ke semua hal yang dapat ditemukan di sebuah kota yang aktif ini. Dengan lokasinya yang strategis, hotel ini menawarkan akses mudah ke destinasi yang wajib dikunjungi di kota ini. Dengan menawarkan pelayanan superior dan sejumlah fasilitas kepada para tamu hotel, Hotel TAP Silver Square berkomitmen untuk memastikan penginapan Anda senyaman mungkin. Ada beberapa fasilitas hotel ini seperti WiFi gratis di semua kamar, Wi-fi di tempat umum, layanan kamar, antar-jemput bandara, tur. Nikmati fasilitas kamar berkualitas tinggi selama Anda menginap di sini. Beberapa kamar memiliki televisi layar datar, akses internet - WiFi, akses internet WiFi (gratis), kamar bebas asap rokok, AC, yang disediakan untuk membantu Anda mengumpulkan tenaga kembali setelah lelah beraktivitas. Disamping itu, hotel memiliki berbagai pilihan fasilitas rekreasi yang menjamin Anda melakukan bermacam hal selama menginap. 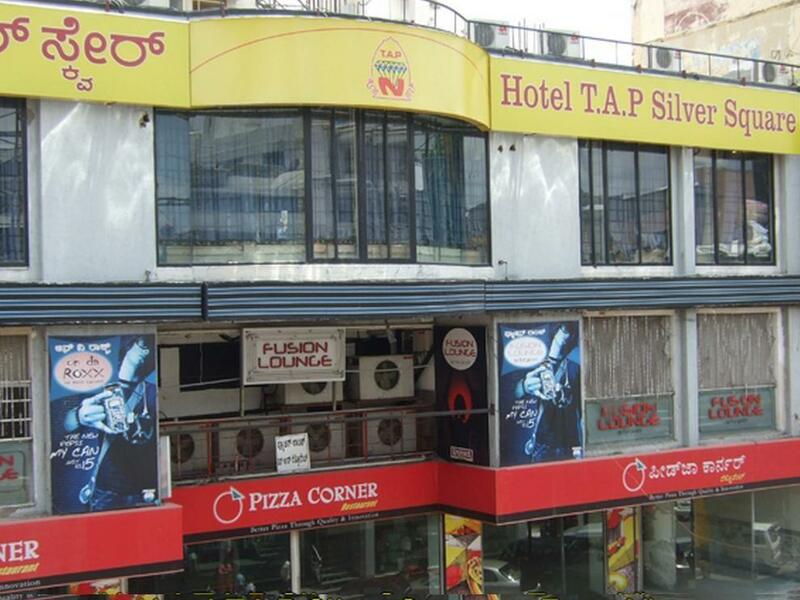 Apapun tujuan kunjungan Anda, Hotel TAP Silver Square adalah pilihan istimewa untuk menginap di Bangalore. Good for the price paid. However, the shower/toilet should be cleaner. The staff was very helpful and friendly. Thanks a lot. Location very good. Perfect if you just need a place to crash. only luggage to can keep..no cleaniness. business hotel, located in city center and easy accessible. The hotel was comfortable and easily accessible to major business centers around Bengaluru. The room's door lock was not working in room. The toilet items were not provided in the toilet rooms. In the room assigned to me later, the door could not be opened fully and comfortably. Hence, the maintenance was so poor.After midnight, AC was stopped. I will ever and never recommend your hotel for stay. This is a horrible hotel for considerable money Very small, smelly room with rotten floors. One floor below, a disco every night. Very noisy. 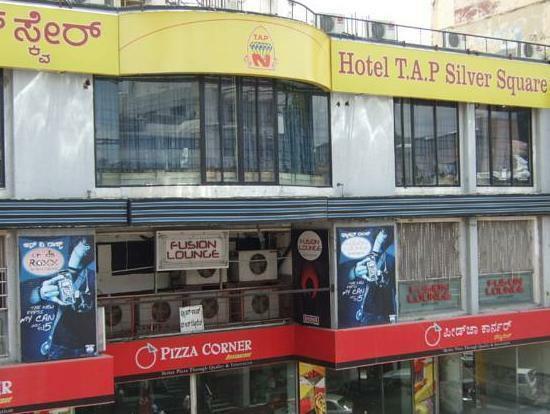 hotel: hotel tap silver square room type: studio silver a/c city/country: bengaluru / bangalore/india am not happy with the service and was inconvenient. first when i visited this hotel i was questioned for 15 min and was embarrassment for me and my wife. the hotel is just above the live bar disco not suggested for family. the hotel is on 3rd floor when i checked in at night the elevator was not functioning, the stairs was with wine bottles and garbage from the live band. second the room was not as specified on the website. very untidy, no hot water, no room service, very dirty. third the ac control was not working and the air filter was polluted, i feel sick in just few hours. breakfast was horrible and very cheap. hence i had to check out in couple of hours. couldn't stay more than 6hrs. the hotel rooms are very smell and dirty very loud music near buy so can"t sleep well not a good place to stay. There are no porter service. The Taxi could not stop in front of Hotel for my luggages. The Hotel is run down. The room are not safe could entry thru the corridor window to room. The room toilet very poor condition & the hot shower to working. I would advise to remove this Hotel from your web page. location wise it was nice but hotel is too bad.I could not sleep for nights becoz to many bed bugs were there.and also too much noise becoz of nightclubs. There is a night club beneath the hotel. So thorugh out night there was heavy noise hitting the wooden floor and bed vibrating. Had a sleepless night. Not really geared up for UK early hours of the morning UK visitors. Staff were asleep and place was locked when we arrived (3.30 am) talk about grumpy when we finally woke someone up.We were given a room which definetely was not the studio room we had booked. But once in we did sleep well so for crashing out once you in your in it was just a lot of unnecessary hassle. The room we were given is basically a hole in the wall, with just 2 beds occupying the entire room with no moving space what-so-ever. There was no place to sit even, forget about being able to write anything. To go to the toilet at night, one has to be an acrobat. The toilet doesn't have any provision for keeping toiletries, bath towels, change of clothes. There is a bar lounge just below the hotel where a very loud band keeps your room reverberating with music till almost midnight. Great location, service and reasonable price. a memorable evening at a fabulous place tap gold crest needs no introduction& has been on bangalore’s map for many years now serving great food i used visit this hotel often till we shifted to chennai about a two years back. all the best guys, keep up the good work & god bless !!! !